I know this is more than overdue by now, and I apologize for that. Thank you so much for sticking with me. I really appreciate it. 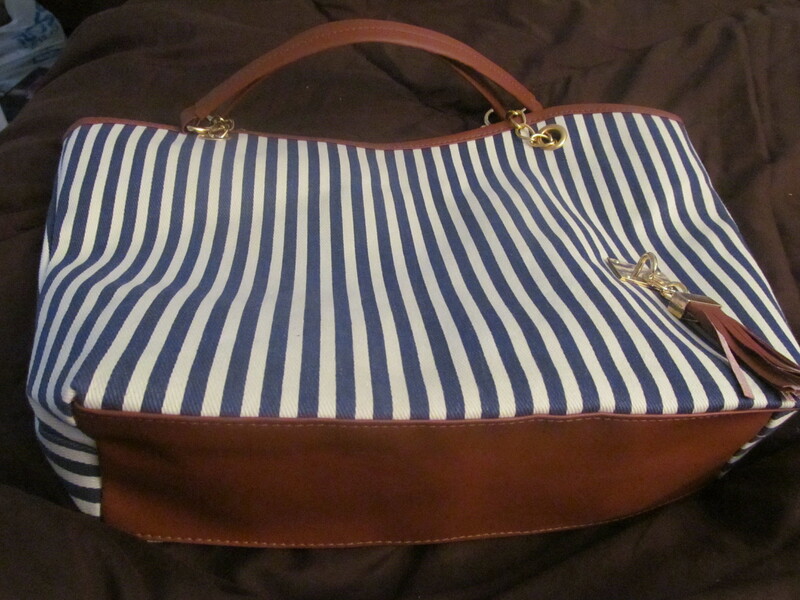 Today’s feature is a sailor inspired navy and cream striped tote with faux leather accents. First of all, size wise, I don’t know what you could possibly need to take with you on a daily basis that cannot hold in this tote. Talk about spacious! 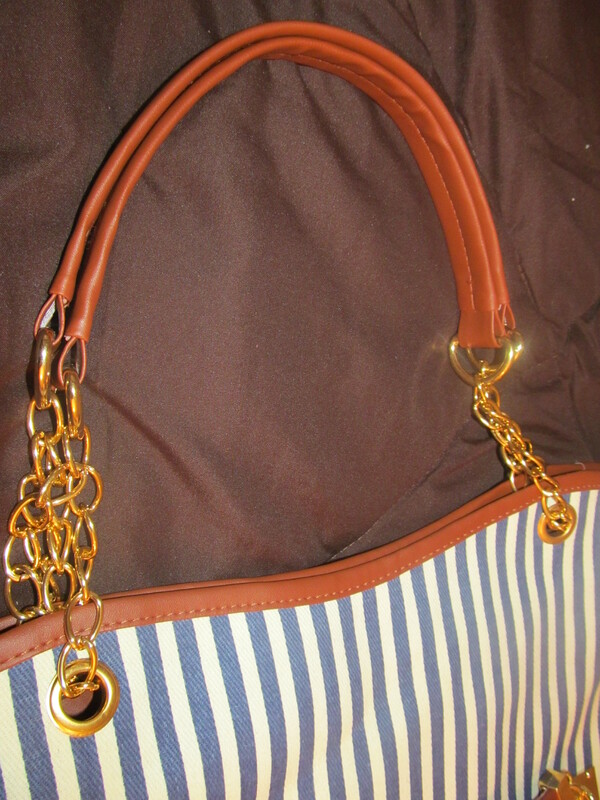 The simplistic and chic design of it also allows you to pair it with many outfits, from a day out shopping with the girls, to an outing to the beach, versatility is the word of the day for this bag. 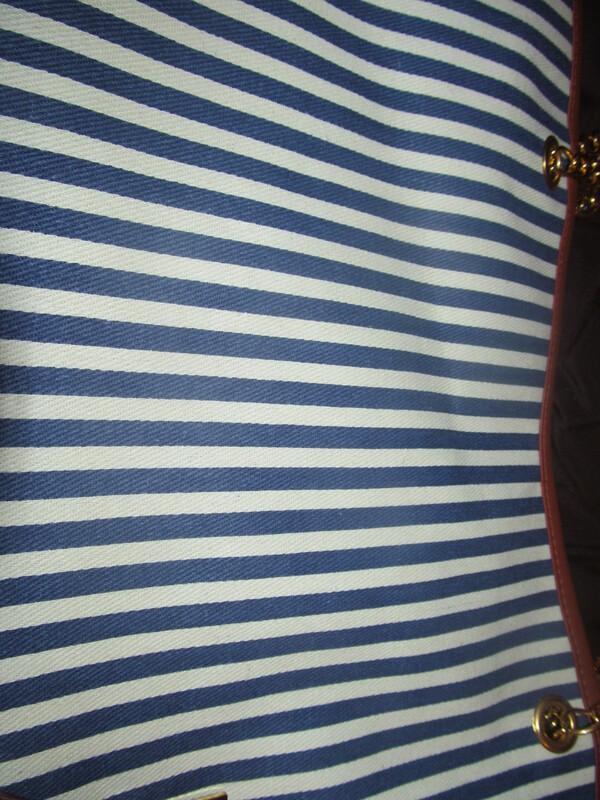 Its made of a canvas fabric, with a vertically striped patter in navy and cream, giving a very nautical feel. 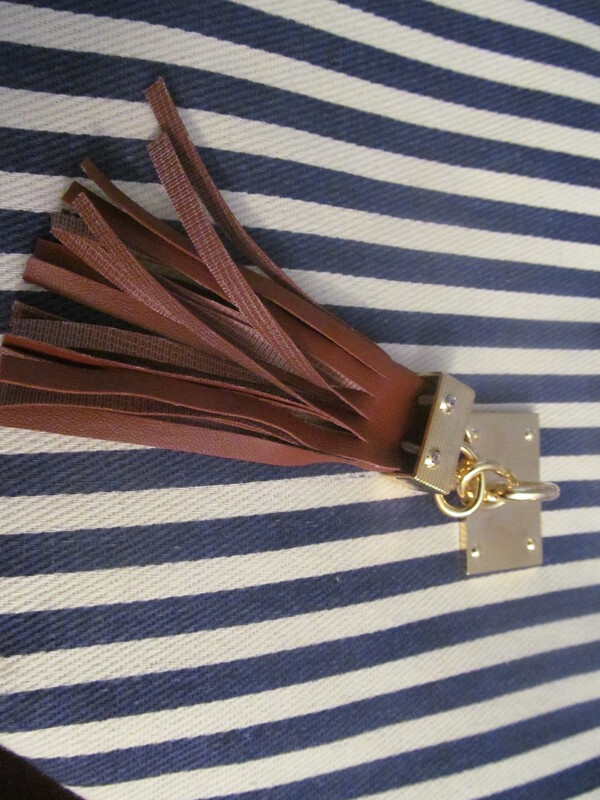 On the front of the tote is a faux leather tassel, attached to the bag by gold hardware. 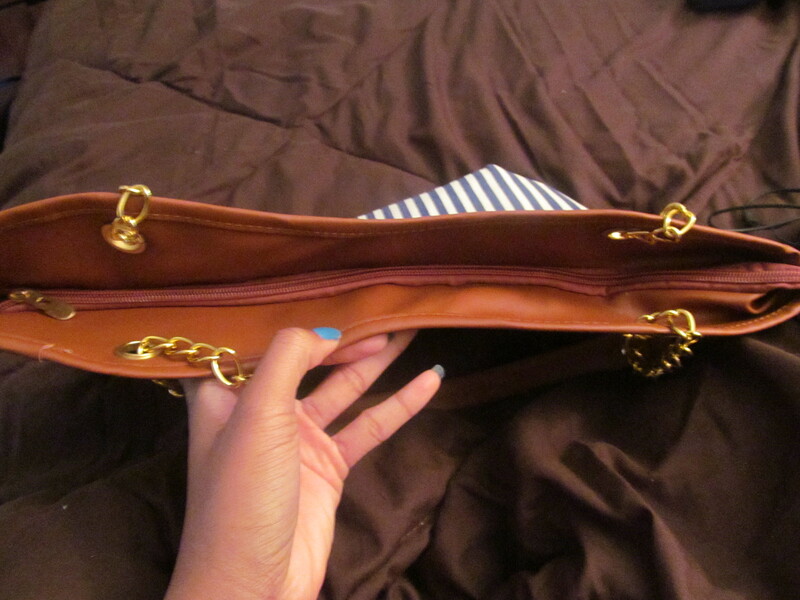 The bottom and top outer edges of the purse are also made of that faux leather fabric. 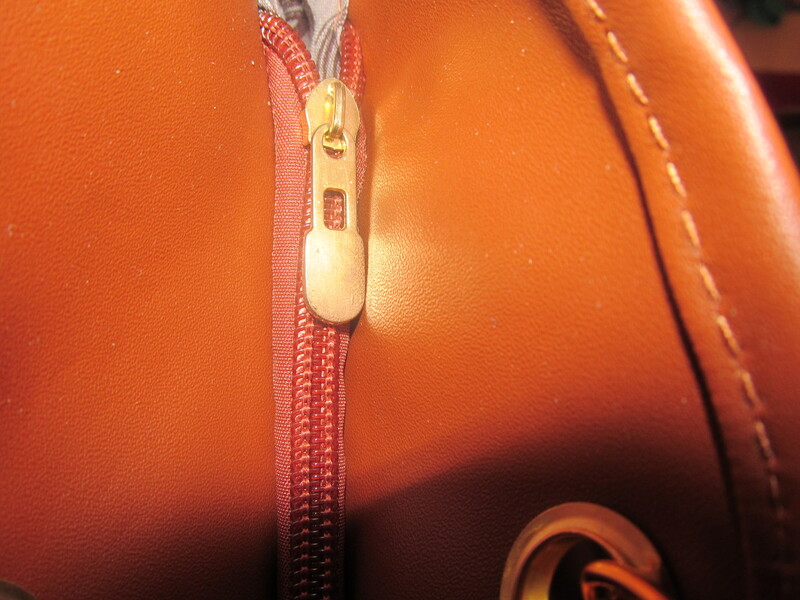 The main compartment is secured by a zipper opening. 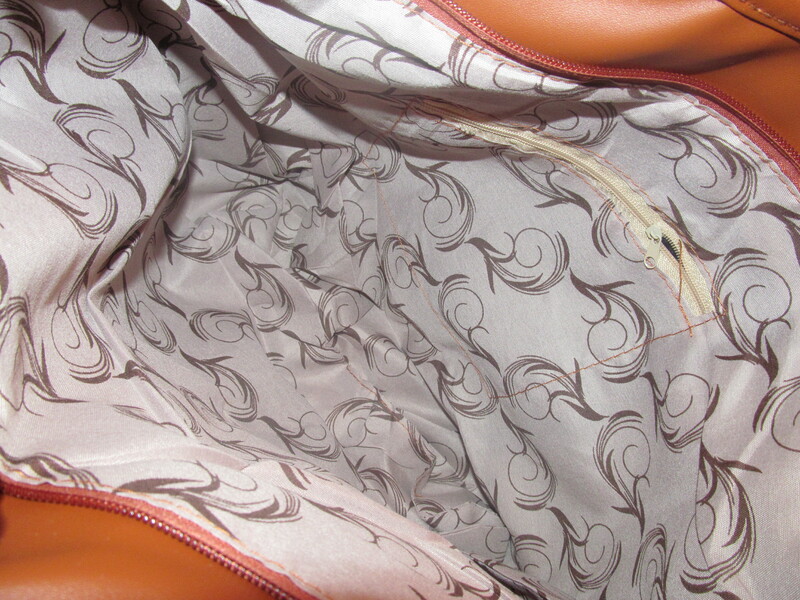 The inner section of the bag is lined with a patterned fabric, and also features a small zippered compartment for your small items. 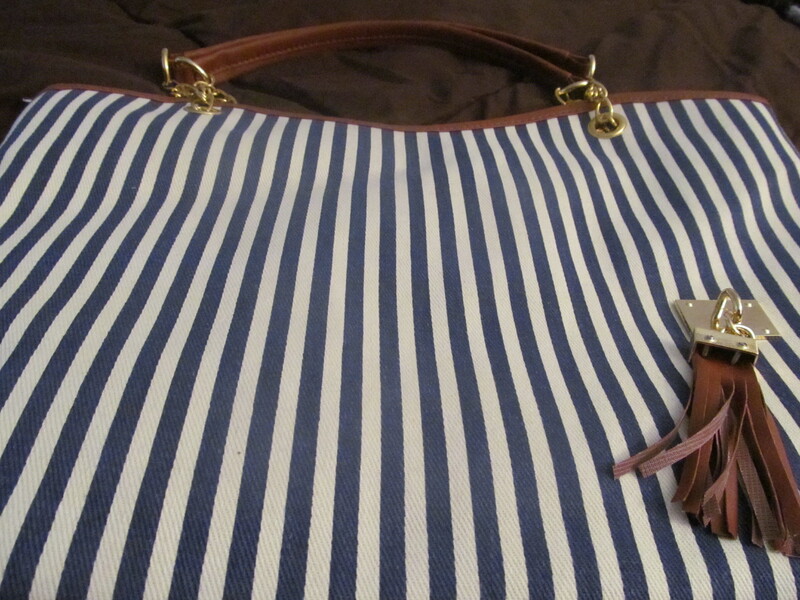 This tote has double straps that can be worn on your arm or over the shoulder. 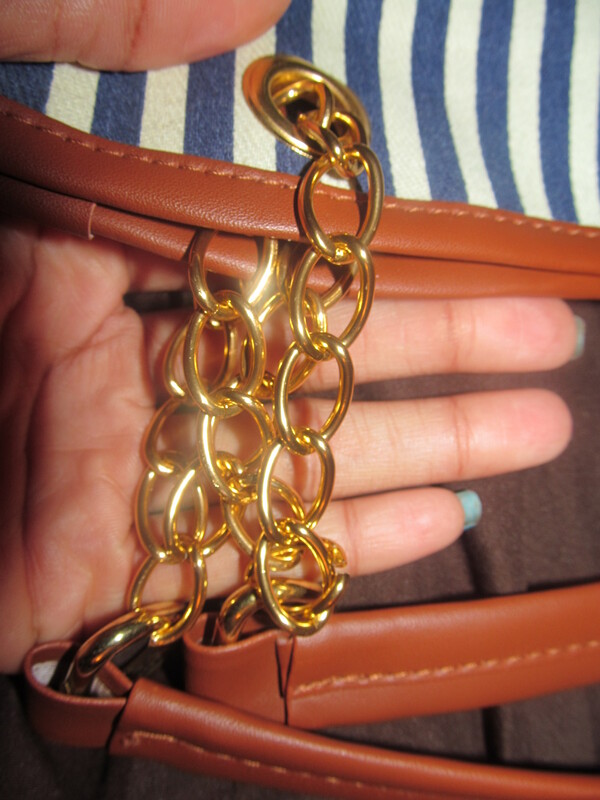 The handles are made of faux leather, attached to the tote by gold chains. -You must be either a fan of the FACEBOOK page OR a follower of this blog. -your username either for wordpress or for facebook [and twitter/instagram if you want extra entries], so I know you want to be entered into the drawing. – What is your favorite accessory and why. Contest will run until next Sunday May 12…..Good luck everyone and have an awesome day! 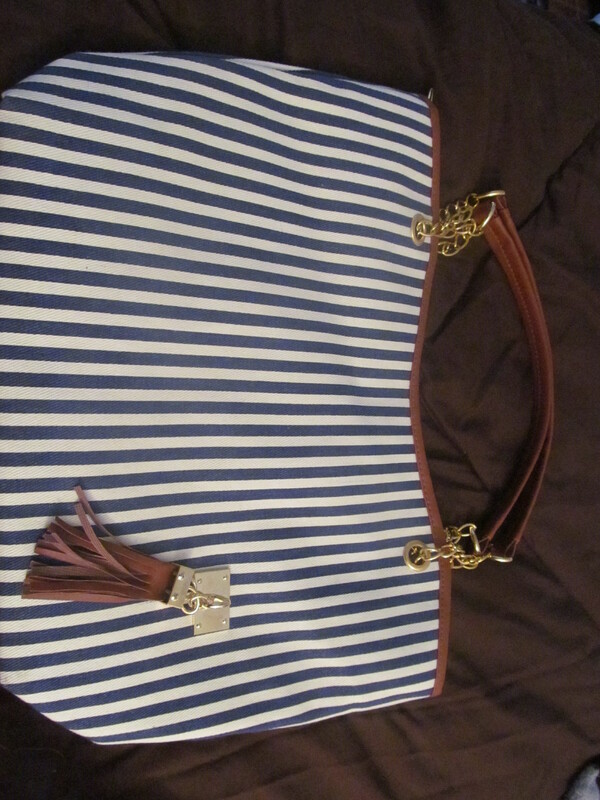 I think that is super cute!I love bags,shoes and bracelets.I am a FB fan and I also follow @tatzgrrly and RT’d https://twitter.com/tatzgrrly/status/331141311505784833 thanks for the chance!! I love shoes because they don’t discriminate! They look good no matter your size or how you look! 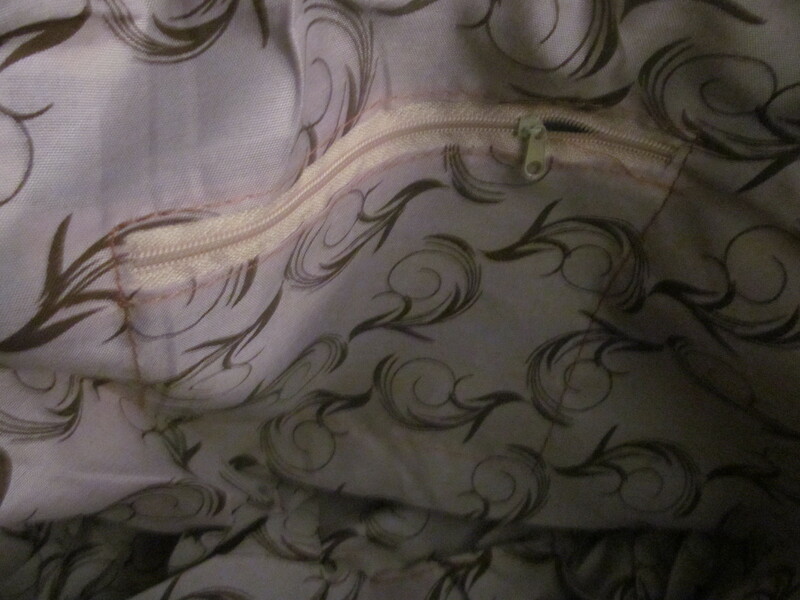 Clothes are never like that. 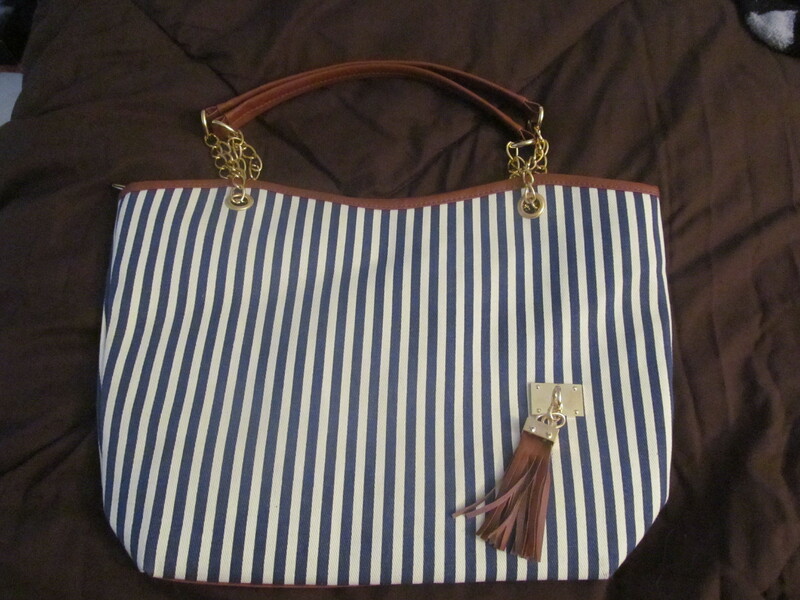 This bag is so cute!! I gotta have it. If I should lose, where can I get one of these? Thanks for the awesome giveaway! my fave accessory is always earrings! I love unusual earrings that make people ask about them! Thank you so much for entering! Your entry has been counted, good luck! I love earrings myself! 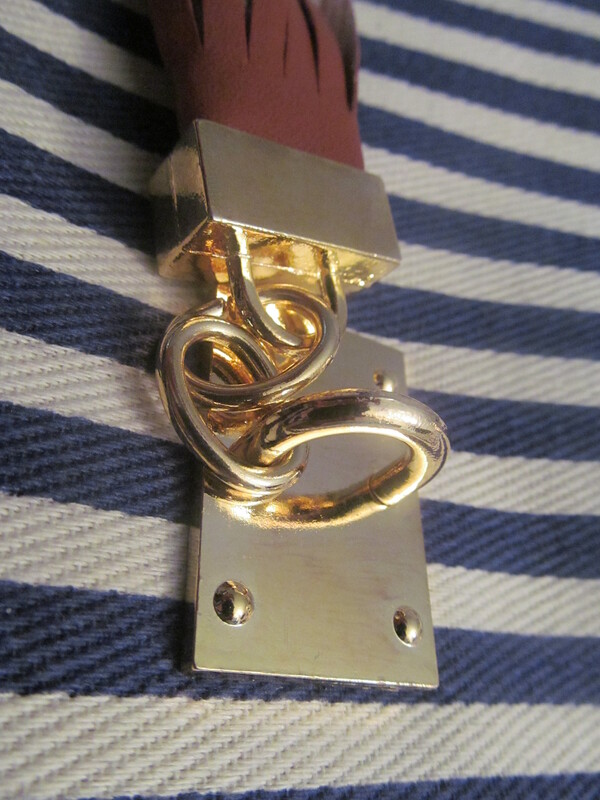 Ahhhh… this is so gorgeous… love all things with nautical theme..
Have Followed you on this blog and on twitter.. Thanks for entering! I’m glad to see shoes are a common obsession…I am not alone!!! 🙂 …Good luck in the contest, and don’t forget to share iluvbeautie with your friends!